It's a sunny day and Charlotte wants to take advantage of it and have a romantic picnic with her boyfriend, Ryan. 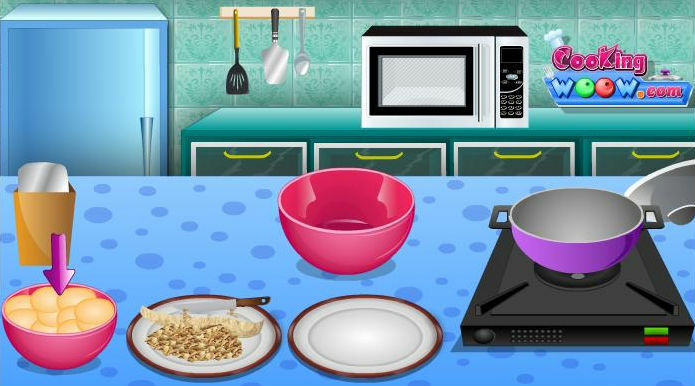 She wants to prepare a delicious food basket and make Ryan's favorite dessert, apple and berry oaty crumble. She manage to finish the food, but the time is running so late and she could use your help with making the dessert. Can you make the dessert and add the ingredients according to the recipe? Is very easy, just follow the instructions. Good luck!